If you’ve recently decided to start a mom blog and are searching for reliable mom bloggers to follow for smart blogging advice, you are in the right place. Even though I recently compiled a list of the Best Blogs About Blogging to follow this year and many people loved it. There’s just something about getting blogging advice from real moms that you know share your mom struggles. Like me! 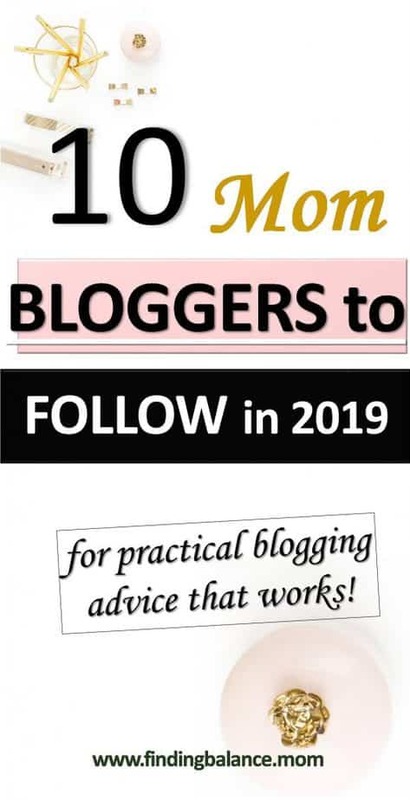 Yeah sure my friends Enstine Muki, or Ryan Biddulph or any other top blogger may have insane strategies for building a successful blog, but are those strategies “mommy friendly”? That’s what seperates this list from the other one. 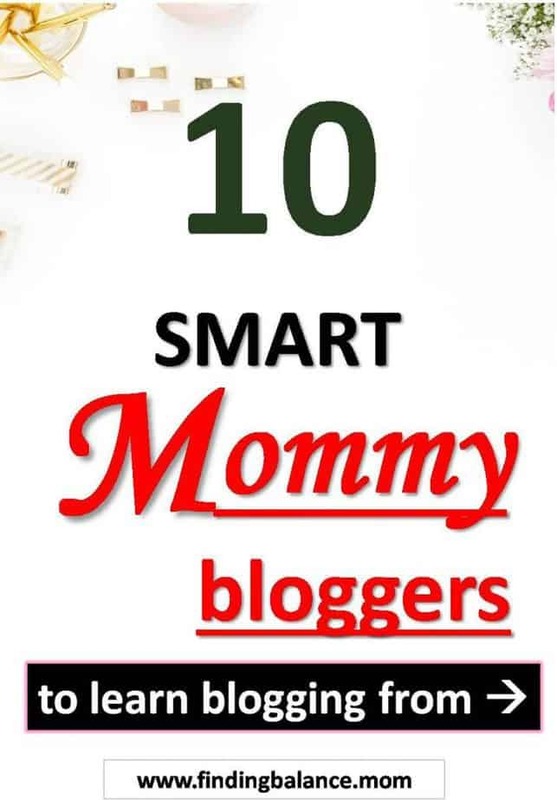 Read on for the top 10 mom who despite the endless mommying, still find hacks to growing successful blogs. Elna, the mom behind Twins Mommy, is a freelancer writer who also runs several blogs while mommying full-time. I don’t know how she does it but one thing is sure, this mama has mastered the act of blogging and you need to learn from her! You can start with my recent interview with her on how she gets close to 100,000 monthly pageviews on each of her new blogs. I first “met” Catherine when her blog was still “This Mama Learns”. Even after rebranding to Catherine Oneissy, she has continued to continually share awesome actionable blogging advice for moms! Go to her for all things Pinterest, Blogging and working from home. I’m not going to lie to you, Mckinzie is a master at Pinterest. She has this insane Pinterest course I’m still surprised is free and shared some killer tips to help you get pinterest traffic to your new blog in my interview with her recently. Mckinzie’s Pinterest knowledge allowed her get 20,000 pageviews to her brand new blog that wasn’t even 3 months old yet. But her blog isn’t only about Pinterest! For all those Pinteresting strategies and money making tips, be sure to check out her blog. Monica Froese, Corporate mom turned full time blogger teaches you how to grow your blog like a business. From tips for increasing your productivity to converting pinterest traffic to subscribers, Monica is your gal. Mom of 3 young kids, Suzi’s mission is to help moms like you start a mom blog that makes money so they don’t have to leave their little kids for a day job. Suzi used to work as an Industrial Engineering and she’s really good at finding blog growth hacks! What she brings to her blog, Start a Mom Blog is the same efficiency and optimization techniques that worked at Fortune 100 Companies to gain traffic and make your blog successful. Meera Kothand is the prime destination for no BS, kickass marketing advice (even if you’ll rather curl up on your couch than sell). Not your typical mom blog. This mama is smart and approachable. What she teaches you is easy, non-sleazy ways to sell like a human who is trusted for great advice. Jen’s mission is very similar to mine. Help women win in the game of online business. Because we both believe that every woman should have a choice to earn an income on her own terms. And Jen knows that if all women had that choice, most would choose to work at home with their kids. And that’s what she teaches on her blog. Candis is a true blogging inspiration. The mama of four has mastered the act of successful blogging with balance and that, as you already know, is a lot for a stay at home mama! SmartMomBlogger.com is all about: making the most of our “blogging time” by focusing on productive andprofitable tasks so that we can have the freedom to work from home without stressing about money. Melissa is a “For Dummies” author, designer, and marketing pro who helps mommies find clarity, become productive and learn to speak to their audience in ways that make them speak back. Blog Clarity is the destination for simple and practical blogging and social media advice for insane blog growth. KristieHill.com is a pretty common destination for me when I need to find straightforward and super helpful instructions for something I’m struggling with. Here’s what you should expect when you visit her blog; valuable blogging advice that leaves her name and face in your mind forever. Updated to add these two amazing women! At the time of writing this post I had no idea these kickass business women were moms, love them both! Mary is my ultimate source of inspiration for a woman who does it all. She first struck me when I saw her all over Optin Monster, Smart Blogger, virtually every power blog I read! And every single one of those posts was a power house of useful information. Mary is not your average mom blogger, read her blog and you’ll be transformed into a badass digital marketer in no time. One of the things I love so much about Tiffany is her down to earth nature. For a badass boss mom pulling in thousands of dollars a month, Tiffany is special mama. She creates beautiful feminine wordpress themes that are speedy and optimized to help you make money with your blog. While Tiffany has a lot of advanced knowledge to share, her blog focuses more on helping beginner bloggers and her tips are insane. You should check them out. Did I miss your favorite? Shout out to her in the comments and I’ll add her when I update the post! What a wonderful surprise to see myself featured here– thank you for including me, Lily! This is an awesome list… I am friends with most of these mommy’s and they are INCREDIBLE! Yes Mary, I’ve made friends with so many wonderful people through blogging. Thanks so much for leaving a comment Mary, that is a surprise. Thanks Ryan! You are right about Elna, she’s awesome.